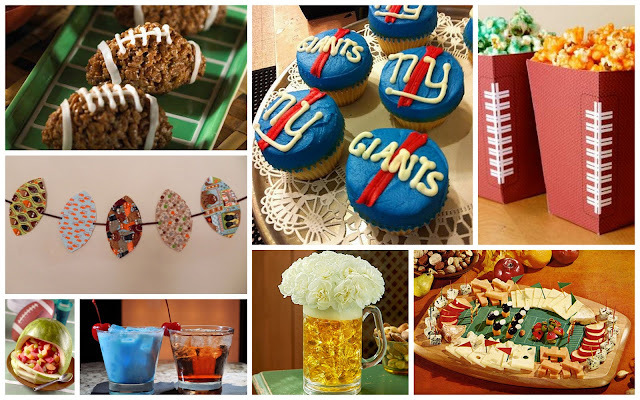 Super Bowl weekend is upon us, and since we're in New York and New Jersey, you can bet we'll be watching and cheering on the New York Giants! Now traditionally we're not big football fans, but we always love the Super Bowl because it involves food, friends, and a good time. Planning a Super Bowl party can be very straight forward -- all you need are wings, beer, and a large screen T.V. Of course, that sort of thing doesn't fly here at PDR. When we plan a party, we plan a party. Here are some very simple and easy tips to add a little style to your Super Bowl party.